Father throws his son in the air. The happiest one in this scenario, is of course, the child, and the most miserable is the mother! As for the daddy, he just loves to see one laugh, as the other cringes. 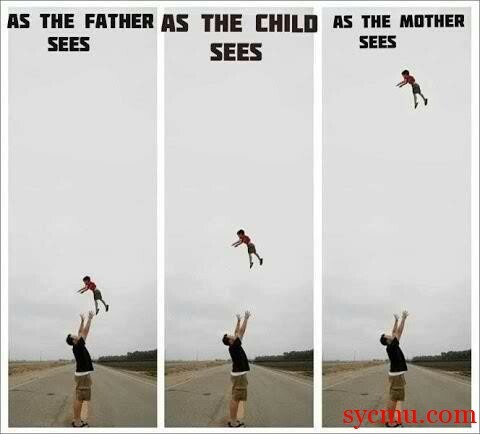 As the father sees it, as the mother sees it, and as the child sees it. Funny how the perspective can make so much difference. But no doubt, it is true!